The majestic vista from Cape View of giant Atlantic rollers crashing onto the Brisons and two rock islands about a mile out to sea can be totally hypnotic. Gaze past the spray and in the distance are the Scilly Islands, some 28 miles off Lands End. At night Wolf Rock Lighthouse and the loom of Bishops Rock, off the Scillies, reassure mariners of their course. Cape View has the most dramatic section of the South West coastal path on its doorstep and is an ideal location for some wild dog walks. It is an easy drive to the ancient town of Penzance, the artists' favourite of St. Ives, spiritual St. Michael's Mount or of course the wealth of beautiful sandy beaches, coves and headlands. Inside, the apartment is well equipped. It has an open plan kitchen, lounge and diner tastefully decorated to a high standard and with modern kitchen appliances. The bathroom has a powerful shower over and has all been recently decorated. There is a double (4'6") bedroom and a separate single bedroom. Cape Cornwall Golf Club is 50m away and with this are excellent bar and dining facilities. First Floor: Steps lead up to the front door and gives access to a hallway with doors to a single bedroom, a double bedroom and an excellent bathroom with shower over, w/c and basin. A further door leads to an open plan kitchen, living and dining room. Exterior: The apartment has a small grass area in front of the property with bench seating in front of the magnificent vista, there is also a more secluded and partially decked area with table and chairs and access to a BBQ. Heating is via night storage heaters and on demand panel heaters. The kitchen has a range of modern equipment. There is an electric oven and hob, a microwave, toaster, kettle, fridge with ice box, and dishwasher. The sitting area has a flatscreen digital TV & DVD player. There is a washing machine, tumble drier, iron & ironing board in a separate communal utility area for use by any of the guests at Nanpean Barn. You may also borrow any of the board games, boogie boards or a surf board. Electricity, heating, bed linen & towels are all included but you will need to provide your own beach towels. There is parking available for up to 1 car in a dedicated parking space (labelled No.10) there is also a communal visitor parking space. We regret that there is no smoking allowed but well behaved dogs are permitted at a small additional cost of £25 per dog / per week. Cape Cornwall, England's only Cape, rears 229 feet out of the Atlantic and offers spectacular views over the Western Approaches and Land's End. The Cape was aquired by the National Trust in 1987 to protect the area and its rare flora and fauna. Ornithologists can spot Cornish choughs, peregrine falcons, sparrow hawks and many other sea birds. Sheltered Priest's Cove with its rocky beach and sea pool, is within 5 minutes walking distance and is still used by local fishermen. The Cape was originally believed to be the Western most point of the mainland but usurped when accurate cartography proved this was in fact Lands End, a mere 4 miles South (and very slightly West!) There are many beautiful valleys leading to other coves and beaches in the area, all of which are accessible from the nearby Coastal path. Cape Cornwall tin mine was operated intermittently between 1838 and 1883 after which time it was closed, the 1864 chimney from the mine has been left as a navigational marker for shipping traffic and stands tall on the top of the Cape. The surrounding National Trust farm land has been converted into an 18 hole golf course with leisure facilities including an indoor swimming pool (although this is currently being renovated!). There is also a bar and dining room open to non-members. Weekly membership of the Golf and Leisure Club is available for visitors. Both Sennen Cove, with its long sandy surfing beach, and Land's End are within easy reach. St. Ives and the Tate Gallery are a short drive along the coast road through some of Cornwall's best moorland and Heritage tin mining areas. Local shopping facilities are about a mile away at St. Just and the larger resorts of St. Ives and Penzance are within easy driving distance along with many attractions including St Michael’s Mount and The Eden Project. Me, my husband and the dog took an off-peak break at Cape View. Obviously the best thing going for it is the glorious view over Cape Cornwall, but the flat was extremely clean, well laid out and comfy. We had to contact the owner once as someone previously had put milk instead of water through the pod coffee machine. This is not the owners fault but the fool that did it in the first place. The machine was replaced promptly. We mainly cooked for ourselves and all things were ok, but we chose non-smelly/non-smokey types of things as the living room is open plan with the kitchen area. The bathroom was good, I couldnt get the fan heater working (cold time of year! ), but that could have been me being gormless (heating element came on but fan didnt). Surrounding area was lovely to take the dog for a walk and there are good amenities in St Just, especially like the Cook Book cafe and the pub! Completely recommended! Brilliant stay, our sixth time at Nanpean Barn and we will be going back, definitely! Lovely place!! Guest from Ferndale stayed for 7 nights. Excellent as usual. To be recommended highly ... stunning view (can't be beaten?). St Just - a nice little town, too. Small, but comfortable flat with a stunning view! Fantastic location, plenty of cost paths and other attractions for adults as well as kids. Recommended! Guest from Colchester stayed for 5 nights. It's our first time in Cornwall and Cape Cornwall didn't disappoint. The flat has everything we needed, we just had to buy food. The view is just heavenly. Because we were treated well, we looked after the flat. We will be back, again and again. Guest from Torpoint stayed for 7 nights. This property must have one of the best views in Cornwall. Lovely walks on the doorstep and so many excellent places to eat out. Dog friendly, a big plus for us. Will definitely be returning. Guest from Neuenegg Be stayed for 14 nights. I booked Cape View to paint the coastline of the penwith peninsula. Arriving from Switzerland on a Saturday evening I navigated the beastly narrow Cornish roads in my English hire care, struggling to drive on the LHS with a RHS steering column and that in fog. I arrived at C. Cornwall without a scratch and was immediately struck by the fantastic view (if foggy) over the golf course towards the sea. Next day found me walking the coastal path to Botallack . On the way, I observed a large buzzard hovering on the thermals, watched the gannets diving for fish, noted the choughs and a peregrine falcon and the high-point - a close encounter with an adder! I managed a pastel sketch of the Brisons and cooked myself a fish on the evening. Not bad for the first full day. The next day I was up early but not before that quaint early riser-the local golfers. They played in all weathers. I saw grey seals at Portheras Cove. There followed 2 days of drizzle, another warm sunny day and then almost 3 days of hard windswept rain. I managed 4 fine days out of the 12 days that I stayed. Was it worth it? You bet- 3 oil paintings,7 pastel sketches, lots of photos and good walks through the stormy coastal path. Got soaked through, including my rucksack one evening after visiting the coastal watch. All good fun. The flat was pleasant, quiet and clean. A great vacation my 6th here in Cornwall. I even encountered that most dangerous of species-Cornish football fans-swigging their beer at first light! Guest from Hemel Hempstead stayed for 5 nights. Fantastic property, without doubt the best view in cornwall, but seriously needs wifi at this property in this day and age. have many friends and family who would book this property, but not having wifi meens they would book somewere else..
Just had a wonderful week at Cape View. Everything about the flat was good - it was comfortable, well equipped and beautifully set out and decorated - and most of all, the view and location were stunning. Guest from Farnham stayed for 4 nights. I have lost count but have been here many times - that means it must be pretty good doesn't it? The flat is comfortable, clean and set in the most wonderful area with that beautiful view. Highly recommended. Guest from Suffolk stayed for 7 nights. Beautiful location and apartment very clean and well fitted out. Perfect for golfers. Torch neded on arrival though as we arrived in the dark in pouring rain and couldn't see the numbers for the key code! Guest from Witney stayed for 14 nights. Fabulous location at Cape View. Excellent location for the beach and with fabulous views. Ideally located to get out and explore the area. Well equipped with everything that we needed. We thoroughly enjoyed our stay and would recommend this property. The low back sofa was uncomfortable for us but with the pillows from the bed it was much better. No wifi coverage which was a bonus for us but not our 10 year old! Ascend a fight of steps to reach a modern, comfortable, well equipped accommodation in a fantastic location. Each flat has their own designated parking spot, so no worrying about parking when you get home late. 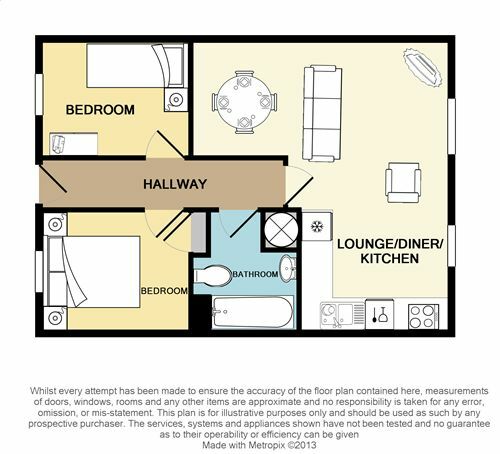 The roomy flat provides plenty of storage - wardrobes and drawers for your clothing, comfortable beds, a light and airy dining and living room and a well set out kitchen, with all you need for your cooking and eating needs. The owners provide a laundry for you to use, washing machine and powder is free and 50 pence for the dryer. I had to ring the owner, as the Bosch dishwasher wasn't working. Fantastic customer service, he arranged for a trusted engineer to call that very same day, we didn't have to wait in, using the key system, whereby there is a little key safe, with combination lock, at the front door, we left the key and he came whilst we were out. If you need reading glasses you may need them on to read the combination on arrival and you may fumble a little to open the small safe, or just let another member of your party have a go. Sit in the window and enjoy views of the Cape and the iconic headland, on a clear day the Isles of Scilly can be seen on the horizon. Watch the busy fisherman in his tiny boat leaving to tend his lobster and crab pots, (eat his freshly harvested catch in St Just later). Step out of the door and walk down to the Cape, down the fisherman's slipway, (NO Dogs Allowed, they're bringing food in), explore the 'beach' area, and the small, tidal swimming pool that is washed clean everyday. Back up the slipway walk along the cliffs and rugged coastal landscape of the World Heritage Site, one way is the sandy surfer's beach of Sennen (Good walk though, maybe, catch a bus back unless you're really into walking, bus timetable in the flat.) The other way is around the cape to Kenidjack, Botallack and the Geevor tin Mine, all well worth a visit. Next door is the golf club, the greens are spread out to the front and sides of the accommodation, but don't be fooled into thinking that you will see only flat and undulating greens, no, don't forget, the rugged Cornish landscape was here first and the golf course was built accommodate that. Cape View is perfect for trips out in the car, many interesting places/relaxing sandy beaches are easily accessible within a short drive. But don't forget to explore St Just, (free car park, down the road between the Co-op and the Commercial Inn,) and enjoy an award winning pasty, sup a pint of Kernow or sit in upstairs window of the fish and chip restaurant and watch the world go by. Take a book, a drink, your binoculars/telescope or just yourself, go down the steps from the flat and through the side-gate, step onto the private little terrace, seating is provided, sit and relax, watch the tide ebb and flow, the birds of prey hunt, the golfers trying not to hit the rough, enjoy the beautiful sunsets and as the sky darkens, look up, you'll see more stars than you ever imagined. Guest from Marlborough stayed for 6 nights. What an amazing view from this lovely flat while you eat your beans on toast - and if you climb up Cape Cornwall you'll find a plaque telling you that Heinz bought it for the nation in 1987 - so sit on the seat a while and watch the sunset, seals and stars. Thank you Heinz for saving it for us all to enjoy. The flat is well equipped and lovely and warm with plenty of hot water in the powerful shower. Lots of lovely walks from here - easily to Pendeen or Lands End - we hardly used the car all week. Oh, and don't forget to look at the award winning public toilets in the National Trust car park - why can't all toilets be this well maintained? Guest from Ibstock stayed for 7 nights. It was lovely to arrive at our destination and find that the apartment was exactly like its photographs! It was clean, comfortable, fairly spacious and bright. It has superb views. All the extremely thoughtful little touches... like, fresh milk/teabags/coffee supplied for guests arrival; washing up liquid/soap/tea towels/toilet rolls etc all supplied ready. The owners have left good instructions on how to use the various appliances. There is even a choice of coffee machine or cafetiere! Tiny niggles?? There isn't a lot of room to move around the bed in the double bedroom and I did find a few dog hairs on the bed 'throw'. Otherwise the only thing I would advise anyone to take, especially if they blow dry their hair, is an extension lead. Plenty of sockets about but a bit far away from the mirrors. We loved our week there! Guest from St Albans stayed for 6 nights. We had a wonderful week at Cape View where we did some lovely walks and the apartment was supplied with everything we required to self cater. Highly recommended. Wonderful, ever changing views from apartment. The apartment is well equipped, comfortable and warm. The location and views cannot be beaten.There is a lot to do in the nearby vicinity, from nature in all its abundance (seals in Porthledden and either a weasel or a ferret ran across our path) to the nearby industrial heritage; from beautiful handmade products to delicious food in many tearooms/pubs. Our favourites are The Blue Lagoon Fish and Chip shop in Sennen Cove, The Cookbook Cafe in St Just and The Rockpool Cafe in Mousehole's car park. We do find the settee a little uncomfortable, due to it's low back (and perhaps our age) but the views more than make up for that: we've stayed there twice this year. Restful, relaxing and enjoyable. This apartment has the perfect view west to show stunning sunsets, and on a clear day, the Scilly Isles. The many rabbits - and golfers - on the course in front of the apartment gave rise to much laughter. Seeing kestrels, crows, buzzards so frequently was a joy. The access to many walking routes was part of the reason for choosing this location. In the Kenijack Valley we watched seals, nesting choughs and peregrines close up. Oh, not forgetting the naked swimmer too. The apartment itself was simple, restful, comfortable and easy to stay in. It was well furnished and equipped. We did not run out of hot water at any time. We will be back. Thank-you. Fantastic location - could sit & watch the sea (or golfers) all day long - and right on the SW coast path. Narrow road to get to St Just but ideally located to get most places by car. Everything present in the cottage that you could need. Guest from Salisbury stayed for 6 nights. The Cape View apartment was very lovely; an excellent place to stay. The view was just breath-taking and the whole apartment was spotlessly clean and comfortable and had everything you would want to make this a 'home from home'. Well done to the owners who have put a lot of thought into the design. My dog Gru spent most of his time in the window seat and loved staring out to sea across Cape Cornwall, as indeed we did as well. So many interesting and beautiful places nearby including coves and beaches and some stunning walks. Will definitely book this holiday apartment again and recommend to anyone who may wish to stay in Cornwall. Guest from Gilwern stayed for 5 nights. Our 10th visit to Nanpean Barn - and just as relaxing and good for the soul as all the others. We'll never get tired of walking into the living room and having the stunning view of the cape and the Brisons rocks spread out in front of us. So many great places to visit within a short drive. Land's End and Sennen Cove, St. Ives, Porthcurno beach and the Minnack Theatre, Penzance and Newlyn, Marazion and St. Michael's Mount. St. Just has everything you'll need for your stay, but if you need more, Penzance has it - including 3 large superstores. Our 10th visit won't be our last! Guest from Blackfield stayed for 7 nights. Wonderful views from the window. Will definitely go back next year. If you enjoy walking, this is the place, it was wild and wonderful. The apartment was very comfortable and fully equipped. We recommend this place and can't wait to go back. Guest from Berlin stayed for 4 nights. We had a wonderful time at Cape View. A great starting place for walking. Also not far away from Sennen Cove, where the kids enjoyed surfing lessons. Excellent location and beautiful views from property. St Just is a pleasant little town with good local amenities. The accommodation would benefit from wifi neighbouring apartments had wifi available. Would recommend this Cape View to friends and family. Guest from Edenbridge stayed for 7 nights. An outstanding property catering for your every comfort. Just like being in your own home rather than a rental property. An excellent place to stay. Thank you very much. Guest from Woolhampton stayed for 7 nights. Very good accommodation in a special place with the most scenic views, espeically at sunset. Access to a very tranquil cove and excellent walks with beautiful landscapes. St Just only 5 minutes away for groceries and general goods. Local Chippy and Chinese too. Would love to visit again. Lovely views overlooking the cape. Apartment was lovely and nice to relax and enjoy the views from. Also nice being so close to the sea and near to the village. Will be visiting again. Guest from Christow stayed for 7 nights. We had an excellent weeks holiday. The weather stayed good all week. The views are outstanding and we enjoyed the golf. The accommodation was immaculate even though it is 'dog-friendly' it was beautifully kept. Our little dog loved sitting on her towel on the low window ledge to watch the golfer pass by. Yes we would love to go again. Stunning scenery, well equipped, great condition. Only negative is the absence of WiFi which was only a minor issue as our phone signal was minimal. Perfect place to stay! I could not fault Cape View,it was spotlessly clean on arrival the view was wounderful from the apartment,the sunsets were wonderful.I would recommend it. So glad you enjoyed your holiday in Cape View. We hope to see you again.